Bryn Mawr Commentaries provide clear, concise, accurate, and consistent support for students making the transition from introductory and intermediate texts to the direct experience of ancient Greek and Latin literature. They assume that the student will know the basics of grammar and vocabulary and then provide the specific grammatical and lexical notes that a student requires to begin the task of interpretation. 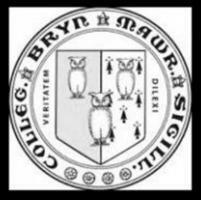 Hackett Publishing Company is the exclusive distributor of the Bryn Mawr Commentaries in North America, the United Kingdom, and Europe.